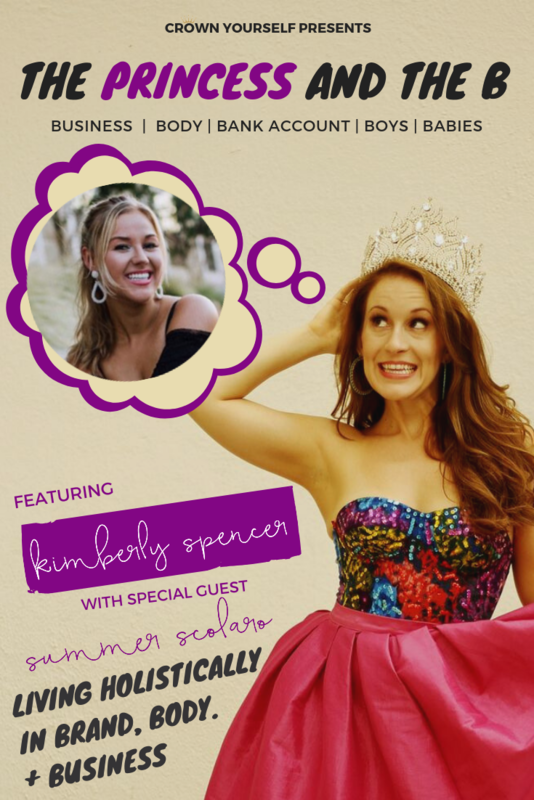 In this episode Kimberly interviews her “growth friend” and branding buddy, Summer Scolaro. Summer is the Owner of She Lives Wholly, the woman’s wholesome lifestyle brand and personal branding company on a mission to help modern women create their dream businesses and lives. She is a personal brand strategist, educator, and business bestie to aspiring and current female entrepreneurs who desire to live holistically in brand, body, and business. Summer Scolaro is the founder and instructor of the Shepreneur Branding Academy: the female entrepreneur’s ultimate training to clarify, grow, and monetize their personal brand online. Summer has extensive knowledge in the fields of entrepreneurship, online marketing, and personal branding as she has built her own successful brands and businesses as a Holistic Health Coach, Natural Foods Chef, and inspirational influencer. And she is just rounding out her holistic brand by becoming a pilates instructor. Summer is passionate about teaching other entrepreneurs the exact strategies she used to build her brand, and her raving students success in the Shepreneur Branding Academy is proof that her framework works. In this episode, there you will learn how to be happy without a 9 to 5 job (5:30), what’s at the core of your personal brand and why you need to be a brand, even if you’re not an entrepreneur (9:30), how to share your story without talking about other people (16:30), how to know if you were born to be an entrepreneur (23:00), why you need growth friends so you don’t have to go it alone (28:10), how to determine who is a friend and who is a client (33:00), what is an ICA and why they are vital for your business’ success (41:00), how to handle failure (48:00), why you only need to drive one out of the car all the way to your goal (50:00), how to be both Team Woman and Team Man at the same time (52:00) and so much more. Struggling to put yourself out there online and be authentic and vulnerable AF, jump into my 3-hour #FortuneFavorstheBold course for just $11.11! CLICK HERE TO GET BOLDER NOW. Dive into more of Summer’s wisdom on her podcast, SUBSCRIBE TO THE SHE LIVES WHOLLY SHOW.